Temperatures are finally reflecting the winter season. As Central Pennsylvanians make warmth a priority in their homes, many turn to dangerous heat sources. While space heaters can help to reduce energy costs by only heating portions of a home, they can prove deadly if not properly maintained and used. More than 25,000 fires related to space heaters occur every year, resulting in 300 deaths, according to Energy.gov. It is estimated between 15 percent and 30 percent of all residential fires are related to home heating. 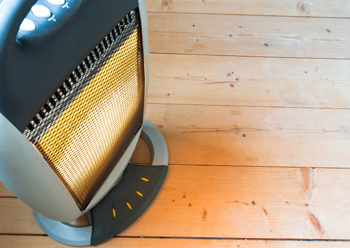 To help keep your family safe and warm this winter, follow these space heater safety tips. When choosing a space heater for your home, consider the following safety factors. First, decide which type of space heater to buy. While liquid-fueled heaters may save more on costs, due to the combustible fuel, they may not be as safe as electric space heaters. If you decide to purchase a kerosene space heater, be sure it is ventilated. Unvented or “vent-free” heaters have a greater risk of fire than other space heaters. Store fuel outside the home, and regularly check to ensure that vents are free from blockage, rust or corrosion. A blocked or damaged vent can cause CO2 levels to rise in your home, causing another safety hazard. Electric space heaters are preferable from a safety standpoint. Electric heaters are now available with safety features such as a tip-over switch and sensors that can detect if an object or child is too close to the heater for an extended period of time. These features will cause the unit to power off in order to avoid fires. Whether you choose to buy a liquid-fueled or electric heater, choose a model that has an approval seal from a certified laboratory, like Underwriter’s Laboratory (UL) or Intertek Testing Services (ITS). These independent labs test products for safety before they reach the market. Purchasing a space heater designed for safety is only the first step to preventing a home fire. Learning how to properly use your space heater is equally important. Read and follow the manufacturer’s instructions. If the unit was to cause a fire, legal decisions following the accident would determine on whether the fire was caused by a product failure or by the owner’s failure to use the heater properly. Never over-fill liquid-fueled heaters. As the unit heats, the liquid will expand. If you think a malfunctioning product, such as a space heater, is to blame for a recent home fire, we’re here to help. Contact one of KBG Injury Law’s experienced attorneys for Results You Deserve®.